We’d love your help. Let us know what’s wrong with this preview of Leighton's Summer by K.C. Finn. In the weeks leading up to his sixteenth birthday, gifted psychic Leighton Cavendish finds himself suddenly packed off to Blackpool, a glittering teenage paradise filled with plenty of opportunities for amusement (and trouble) to ensue. With only a preoccupied grandmother to A teenage boy with something to prove gets caught up in a web of crime and deceit in England, 1945. In the weeks leading up to his sixteenth birthday, gifted psychic Leighton Cavendish finds himself suddenly packed off to Blackpool, a glittering teenage paradise filled with plenty of opportunities for amusement (and trouble) to ensue. With only a preoccupied grandmother to keep an eye on him, Leighton’s desperation for adventure leads him out into a world of holidaymakers, candy and carnival rides: the ideal place to spend six weeks away from home. But Leighton’s psychic visions are encroaching on his fun, trying to warn him of the danger that lurks beyond the shimmering lights of the Golden Mile. Who are the mysterious thieves Leighton sees in his head and what do they want with the children they seek? A girl called Faye holds the answer, but she has enough problems of her own. Amid the climate of a tourist town recovering from the impact of the Second World War, two lost teenagers will discover a shocking truth about human greed and together they will try to fight against it. For Leighton and Faye this will be a summer to remember: a summer filled with challenges that must be overcome. To ask other readers questions about Leighton's Summer, please sign up. Summer, a time of fun, friends and few responsibilities, or so Leighton thought. His parents have a mission to handle and Leighton will be spending the summer in small seaside town with his grandmother. What looks to be the worst summer of his life could prove to be a monumental turning point as he grows from boy to man in just a few weeks. Even small towns have crime, and there have been an unusual amount of burglaries. When Leighton meets Faye, a teen with psychic powers similar to his and toge Summer, a time of fun, friends and few responsibilities, or so Leighton thought. His parents have a mission to handle and Leighton will be spending the summer in small seaside town with his grandmother. What looks to be the worst summer of his life could prove to be a monumental turning point as he grows from boy to man in just a few weeks. Even small towns have crime, and there have been an unusual amount of burglaries. 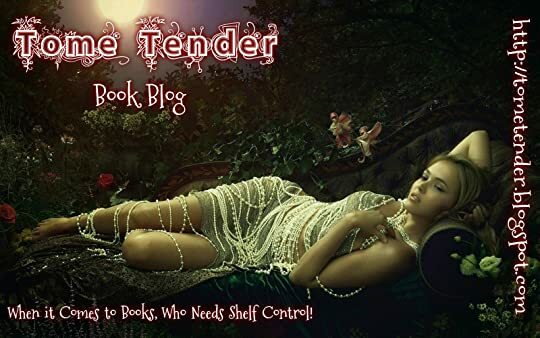 When Leighton meets Faye, a teen with psychic powers similar to his and together they will find themselves p to their necks in thieves, kidnappers and one crazed mob leader who has found the way to pull of the perfect crimes. There may be time to enjoy the beautiful seaside, but first get ready to see evil in action, cruelty at its worst and child abuse that needs to be stopped, as Leighton and Faye take it upon themselves to sort out the sinister plot and bring the bad guys down. Is Leighton willing to risk his own life as well as his gifts for the safety of others? Faye has become more than just friend, and together they will go straight into the lion’s den knowing they may not come out unscathed. Once again, K.C. Finn carries us along on a journey of fantasy and adventure as one teen finds he will stop at nothing for justice and has no qualms asking for help from the most unlikely of sources. Leighton’s Summer is a fast-paced, brilliantly detailed plot full of mystery, suspense and danger geared to young adults who want some over-the-top action to participate in! With characters that run the gamut of the personality spectrum, Leighton’s Summer is part of a series that relies on great story telling and not blush-worthy scenes! Another fantastic tale by K.C. Finn! I received this copy from K.C. Finn in exchange for my honest review. Leighton's Summer is the second book in the very unusual SYSNSK series. Having thoroughly enjoyed book one I was interested to see where the story went. Well where it goes is a few years forward following Leighton and the adventures he manages to get himself involved in, not on purpose, it just seems to happen in this family. The story is well written, something I have come to expect from this author but although it will certainly keep you turning pages, for me it didn't quite live up to my hope Leighton's Summer is the second book in the very unusual SYSNSK series. Having thoroughly enjoyed book one I was interested to see where the story went. Well where it goes is a few years forward following Leighton and the adventures he manages to get himself involved in, not on purpose, it just seems to happen in this family. The story is well written, something I have come to expect from this author but although it will certainly keep you turning pages, for me it didn't quite live up to my hope following the first one. Don't get me wrong this is a great read! The mystery alone will keep you guessing and the story turns at a good pace. I would definitely recommend it and if I give this 4 imagine how amazing book 1 is. Leighton's Summer is the second book from the SYNSK series. Takes place several years after The Mind's Eye is over. The story takes place during the summer a boy age fifteen turning sixteen. Leighton Cavendish, our young protagonist, he is coming into his own as a teenager and as a psychic. His Mom and Dad have been asked to go to Geneva during the summer, and so Leighton is shipped off to stay with his grandmother in Blackpool for the summer. In Blackpool we meet this character named Faye. She also has psychic powers similar to his. Leighton and Faye as a team, were such fun characters which I really loved. LEIGHTON: I find Leighton a great character at first I thought he was annoying, didn't really loved him that much, but in the end I loved him more. FAYE: Faye is a great character, which I absolute loved.Well written. I really did enjoyed this book, I think the characters were well made. The first book is still me favorite just because i'm a fan of Kit and Henri from the previous book. I did have some problems which aren't that bad, other than that K.C. Finn did a great job. Yes it took me a while to finish, but still did enjoyed this book. Can't wait for book 3. I am in love with this book and the one before it! This is one of K.C. Finn's best works by far! The thrilling adventure continues for the Cavendish family in book two of the SYNSK series. Kit and Leighton have grown older and Leighton is coming into his own as a teenager and as a psychic. He is looking forward to a great summer with his friends in London, but learns that he will be shipped off to stay with his grandmother in a sleepy little seaside town instead- not a good time for a young teen I am in love with this book and the one before it! This is one of K.C. Finn's best works by far! The thrilling adventure continues for the Cavendish family in book two of the SYNSK series. Kit and Leighton have grown older and Leighton is coming into his own as a teenager and as a psychic. He is looking forward to a great summer with his friends in London, but learns that he will be shipped off to stay with his grandmother in a sleepy little seaside town instead- not a good time for a young teenage boy. But once he arrives and meets some of the local riff-raff at the local boardwalk, he realizes that his summer will be anything but dull. Leighton teams up with an orphaned teenage girl his age with similar gifts to solve a rash of burglaries in the area, but even more importantly to solve a missing person's case that has stumped the local authorities. The two teens become tangled in a sinister plot that could end up costing them their lives. I loved the first one for many reasons that all disappeared in book 2, yet I still found myself really enjoying the plot and story. I could clearly distinguish between his thoughts and that of his sisters in book 1. The relationship between him and many other central characters was fun to read. Once again, I found myself loving the character everyone else would usually hate or at least distrust. (Sid) I especially enjoyed some of the side stores with different characters or even a character that you hadn't concentrated much on all of a sudden being caught in the adventure. Everyone was connected somehow and I very much enjoyed finding out how. Leighton's Summer is the second book of the SYNSK series. The end of World War II has finally come. Leighton is looking forward to summer as he is about to turn 16. Before he can make any plans his mom and dad drop some news on him. (Looking on the Internet for a bit of information on Bl Leighton's Summer is the second book of the SYNSK series. The end of World War II has finally come. Leighton is looking forward to summer as he is about to turn 16. Before he can make any plans his mom and dad drop some news on him. On the train to Blackpool Leighton has a psychic vision of burglary in progress. He thinks that it is not something that will affect him, but he is so wrong about it. Leighton meets Faye during his summer in Blackpool. She has some powers like Leighton but hasn't been trained on how to use them like Leighton and his family. Between Leighton and Faye and several other children they are able to stop a sinister plan. This is a coming of age story that is so well written. I love it how K.C Finn followed up with the characters from A Mind's Eye, but still gave Leighton his own story. I hope that K.C. Finn continues on with this series. I am truly enamored of her amazing writing. And because I accidentally included Ty Gywn as the countryside of England I am going to include a little background of Ty Gywn. Ty Gywn is Welsh for "white" or "blessed house" It is located in Wales (which is its own country) and is bordered by England on the east and the Irish is north and south of Wales. Despite a bit of a slow start, Leighton's Summer soon drew me in. This is the story of a young man with an unusual gift on the cusp of his sixteenth birthday. It is 1945, after the end of World War II. 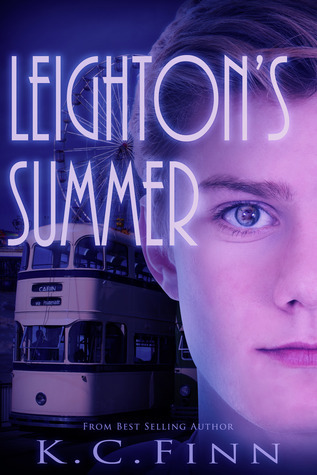 Leighton Cavendish, our young protagonist, is devastated to discover he must spend the summer of his sixteenth birthday away from London, an unexpected development for his summer fun hopes and dreams. Leighton's parents have been called away, and he must spend the summer with his grandmother, in t Despite a bit of a slow start, Leighton's Summer soon drew me in. This is the story of a young man with an unusual gift on the cusp of his sixteenth birthday. It is 1945, after the end of World War II. Leighton Cavendish, our young protagonist, is devastated to discover he must spend the summer of his sixteenth birthday away from London, an unexpected development for his summer fun hopes and dreams. Leighton's parents have been called away, and he must spend the summer with his grandmother, in the town of Blackpool. Once there, however, Leigh realises it may be more fun than he anticipated. Blackpool lies on the coast, and is a tourist area, which means lots of shiny shops, and a seaside boardwalk amusement park. Leigh finds new friends, some dubious, others less so, and even comes across a few more people with the same gifts he and many of his family have. He also manages to find trouble, when a friend is kidnapped and he must mount a daring rescue. This is the follow on from Mind’s Eye, but involves Kit’s Brother Leighton. He is a few weeks off his sixteenth birthday & sent to stay with his Nannie in Blackpool, due to his family being very busy with their abilities. Leighton is also a powerful Psychic himself & finds himself caught up in a web of crime & the fight to do the right thing. This was a great story. I found it so hard to put it down. Leighton has grown up since the first book & proves it by being such a strong young This is the follow on from Mind’s Eye, but involves Kit’s Brother Leighton. Leighton has grown up since the first book & proves it by being such a strong young man. This was a very exciting & at times tense story, that I shall coin a cliché & say it ends up being a battle of Good Over Evil. I loved this cracking story & I cannot wait for the next instalment. Absolutely fantastic! I was a little nervous at first thinking he is a young boy, the story might not hold my interest, and saddened that I wasn't going to be following Kit around again. NOPE! This story was so amazing! So much excitement and sadness and adventure. It is sad to know what people are capable of! I love how K.C. Finn manages to mix the real and the fiction into such a beautiful and believable story! Can't wait to read book 3! I have to admit, it took me a bit to get into this one. I was such a fan of Kit and Henri from the previous book, so it took me a while to warm up to Leighton as the MC. At first I thought he was a bit immature and bratty, and I wanted to slap him around a little. But in the end, I'm glad I stuck around to meet Faye. As a team, the two of them were fun characters, and it was great to see another side of having the gift of the mind's eye. Another awesome read from K.C. Finn!! What a great book! One filled with a lot of drama, mischief, love and yes a little bit of humour. K. C. Finn has amazing writing talents. The way she writes draws you into the book so deeply, that you feel you're there yourself, living the story with Leighton. If one could give this more stars I would. LOVED it and looking forward to reading more work from this author! This story is great with all the characters from the first story and new ones. The twists and turns and Leighton with his insecurities about himself and his family and finding himself and his place in the grand scheme of it all! This is another wonderfully written story by the amazing Kim Finn! I cannot get enough her Synsk series! Ok, I did the first and wasn't ready to let go of those characters to go to the second...but now they are so wonderful that, really, the third? In the 60s? Dang it! I just saw the next char be born; I'll have to read it! Liked it even more, enjoying this world of theirs. There is nothing better than finding a book that you can't put down. .That is what this was for me. I adored the characters and their development throughout the story. This story is captivating and spell-binding and is most definitely a must-read! I didn't think I would like the second as much as the first, since it was set after WWII, but this novel didn't disappoint. Will read the third. Somewhat predictable to me (and I'm not psychic.) More for the middle grade readers. A great follow up to the first book in the series- this one focusing on the little brother's story. As an author for Clean Teen Publishing and Crushing Hearts and Black Butterfly Press, Kim spends K. C. Finn was born and raised in Cardiff, South Wales, where her love for storytelling grew at a precociously young age. After developing the medical condition M.E. / C.F.S., Kim turned to writing to escape the pressures of disabled living, only to become hooked on the incredible world of publishing.